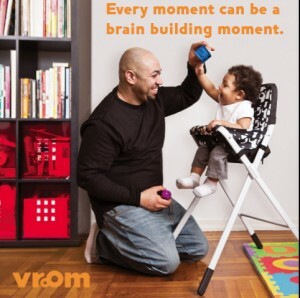 Build Your Child’s Brain with Vroom! Are you the parent or caregiver of a child 0-5 years old? Check out Daily Vroom and start building your child’s brain while having fun. Daily Vroom is an app you can customize for your unique child. The app will suggest easy, fun, age appropriate activities you can add to your daily routine that help your child learn. You are your child’s first teacher; it’s never too early for your child to start learning. Find out more at the Daily Vroom websiteopens a new window or search the app store for Daily Vroom, and select Pierce County at the prompt.